This recently formed young trio are winning plaudits across the world for their imaginative programmes and impeccable musicianship. Their concert includes a re-working of Mozart’s irrepressible Kegelstatt Trio, apparently conceived by the Austrian Wunderkind in a haze of beer and skittles! 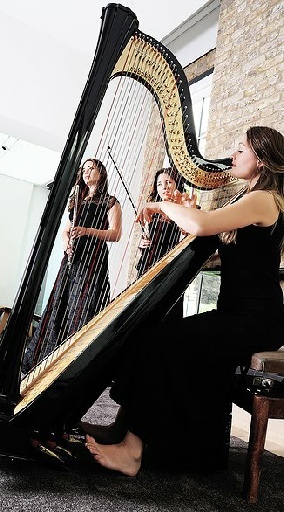 British contributions to the programme are the Bax Elegiac Trio from 1916, a haunting response to the Easter Uprising in his beloved Ireland and Britten’s Lachrymae, a homage to the music of John Dowland.